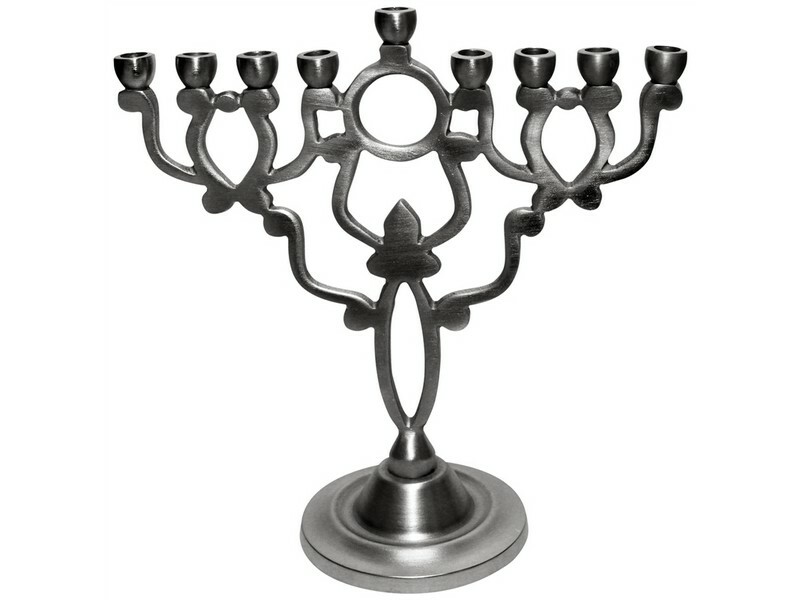 This traditional pewter Hanukkah menorah is designed with the ever-classical look. The base is round and polished and has different shapes and twirls working its way up to the top of the menorah’s top. This nine branched menorah has the middle “shamash”, or helper, towering above the other eight branches. The eight other branches, presenting the eight days of Hanukkah, are crafted, four from both sides, in an aligned row. The perfect menorah that will enhance you Hanukkah and home.